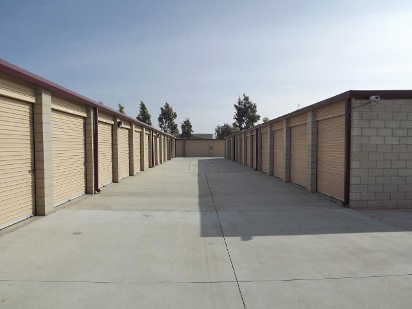 Woodcrest Self Storage is conveniently located in Riverside, California near the 91 and 215 freeways. Whether storing items during a move or just freeing up space in your home, we've got you covered. We are pleased to offer affordable and secure storage space. With computerized gate access, 24-hour surveillance and individual door alarms, you can rest easy knowing your precious items are safe. 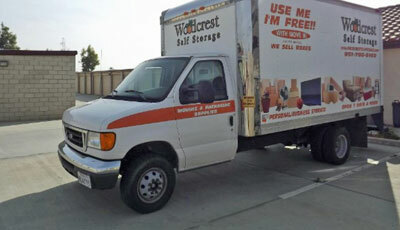 You can even use our move-in truck for free with the rental of a storage unit. Our office is also stocked with boxes in all shapes and sizes and a variety of packing supplies. No hidden fees and great customer service. Call us at (951) 780-4479 and move in today! Along with clean, well-kept storage units, our gate system, 24-hour surveillance, and individual door alarms ensure your items are safe & sound. You can also conveniently drive right up to your unit. Our office is conveniently stocked with the storage supplies you need, all from trusted brand names. Look for these items and more.